And here we go again! It’s the 2014/2015 season and the team photo is out. If I were to compare, I think it is our second best team in the Arsene Wenger era, the first being the invincibles. If someone showed me that picture two years ago and told me Mesut Ozil and Alexis Sanchez were going to be among our ranks, I wouldn’t have believed it for a minute. But then again Cesc Fabregas is playing for Chelsea, another thing I wouldn’t have believed. Looking at that picture I really think we have a squad oozing with quality, promise and that winning mentality we’ve missed for so long. After the departures of our invincibles, we haven’t seen a really strong character in an Arsenal squad, a character with winning attributes. I see that hunger in Alexis Sanchez, Per Mertesacker, Jack Wilshere, Aaron Ramsey and Laurent Koscielny. I see the promise in Wojciech Szczesny, Calum Chambers, Jack Wilshere, Yaya Sanogo, Alex Oxlade-Chamberlain and Danny Welbeck. I see the quality in Mesut Ozil, Aaron Ramsey and Alexis Sanchez. These are the three factors to succeed as a football team, factors Arsenal always had until they had to sell their best players. Arsenal’s teams always had the quality, the technical brilliance, but they lacked that winning mentality. 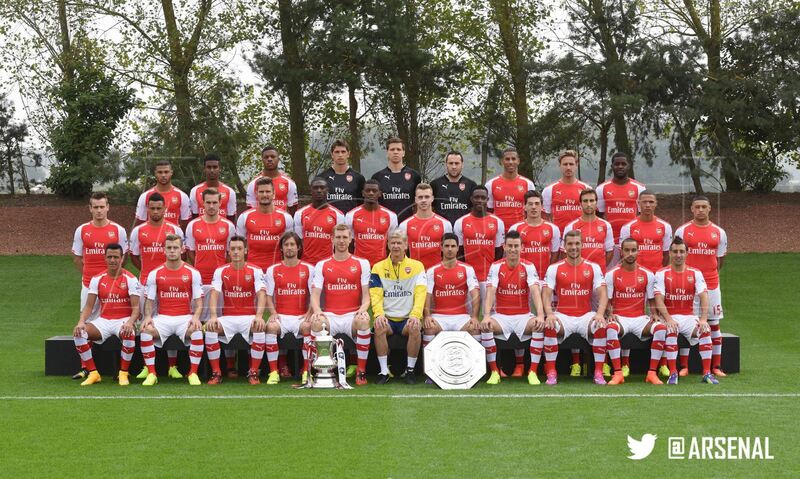 In that team picture I can see a bright future ahead for AFC. How would you rank this team photo compared to all the others in the Wenger era?